Delacroix Trellis was inspired by the works of Eugene Delacroix. In expressive strokes and rich hues a bouquet of wildflowers comes alive. Delacroix's works exemplified the French Romantic movement and laid the groundwork for Impressionism. 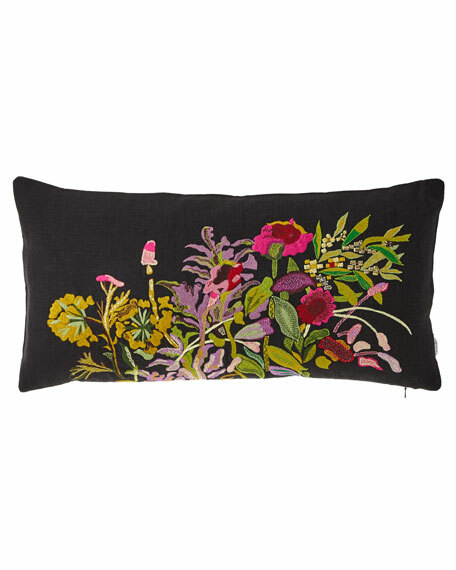 A densely embroidered decorative pillow in rich autumnal tones depicting a cluster of wild flowers and leaves. 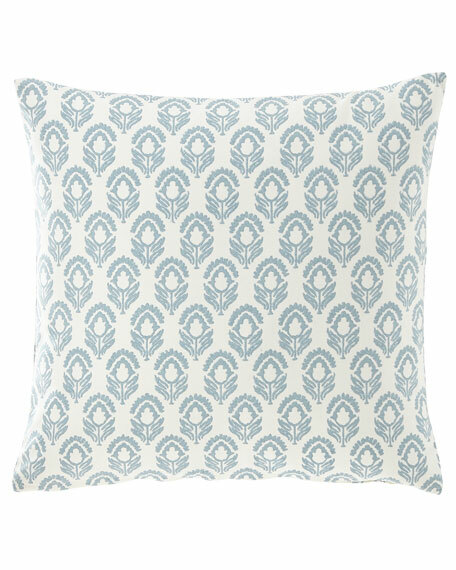 On a charcoal linen ground, this elegant decorative floral decorative pillow is available in a slim rectangular size. 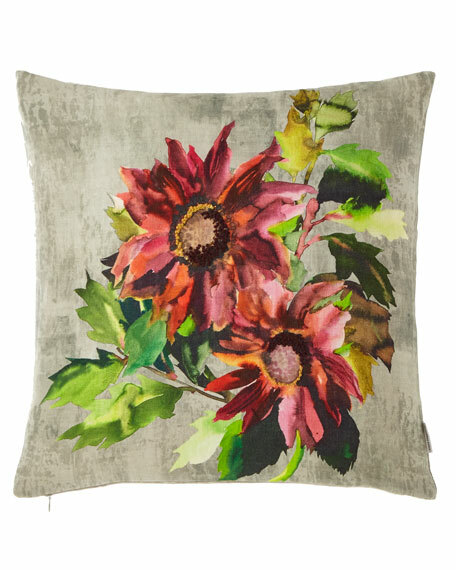 A rich and painterly evocation of Indian sunflowers in rich autumnal tones are the focus for this beautiful decorative pillow. 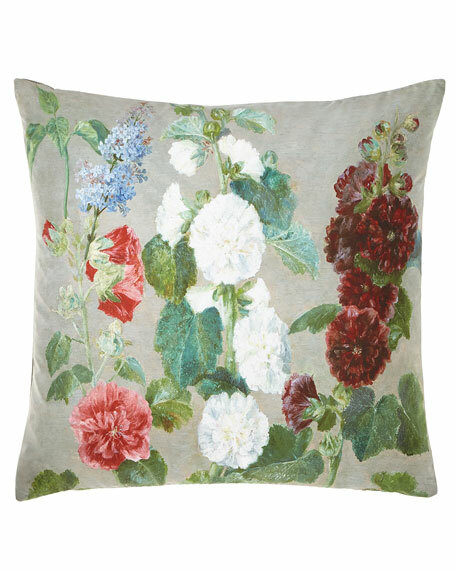 Digitally printed onto pure linen with exquisite embroidered highlights. Reverses to richly toned leaf detail. 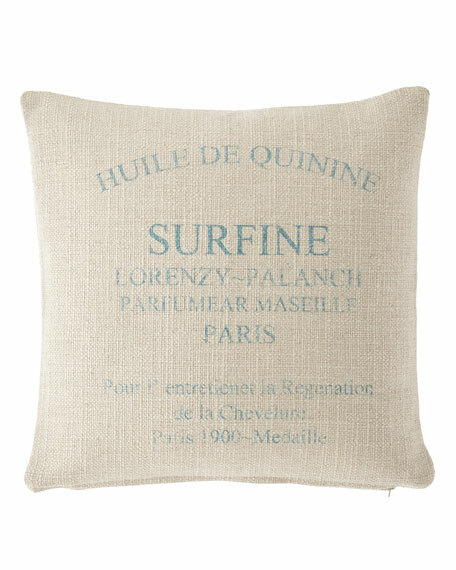 French Laundry Home Floral Pillow, 20"Sq.